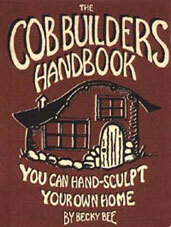 This is a good book about how to sculpt your own dirt cheap house– The Cob Builders Handbook, and now it’s offered for free, online. If I ever stay home for a summer this is the kind of home I want to make for myself. Previous Previous post: Buyers remorse from the Sawyer ‘Just Drink’ water purifier.